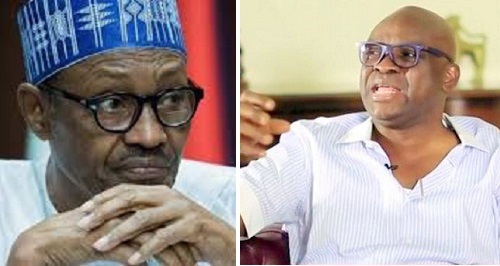 The Ekiti state governor, Ayodele Fayose, has described President Muhammadu Buhari as being anti-Ekiti on Wednesday, 21st of June because he made no budgetary provision for Ekiti in the 2017 appropriation law and vowed to contest in the 2019 presidential election. He made his comments against the president at the Government House in Ado-Ekiti as he addressed a large crowd of supporters during a ceremony to commemorate the third anniversary of his victory in the gubernatorial election of 21st of June, 2014. He stated that the performance of the APC government had been lackluster so far and as such, the people of Ekiti would vote against the ruling party during the 2018 governorship election in the state. He declared that he would defeat the ruling APC party as their performance so far had been lackluster and that the federal government was waging a war against the judiciary, the legislature and even the press. “The policy of Buhari’s government is anti-Ekiti. If you check properly, nothing was budgeted as a project for Ekiti in 2017 budget. That is why Nigeria must be restructured, so that a state can control its own resources. 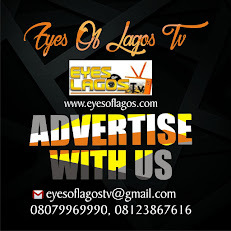 The APC-led federal government is fighting everybody, the judiciary and legislators as well as the press were not spared. They are running a lawless government and that was why they refused to release Col Bello Dasuki and El-ZakZaky despite court orders. This is not the kind of Nigeria of our dream. The APC will be upset in 2018, we will crush them and that is why you have to be strong and firm. I am a leader in Nigeria and nobody can gag or cow me, because this country belongs to all of us. Today, Nigerians are hungry and angry. There is so much nepotism and poverty in the land, so this government must go. This victory march is meant to thank the people of Ekiti State and to finally break down the wall of Jericho, because I know we shall triumph for I have the people behind me. “After winning, I am going to Abuja to be President of Nigeria. I will take power from Buhari in 2019 and that shall come to pass”.